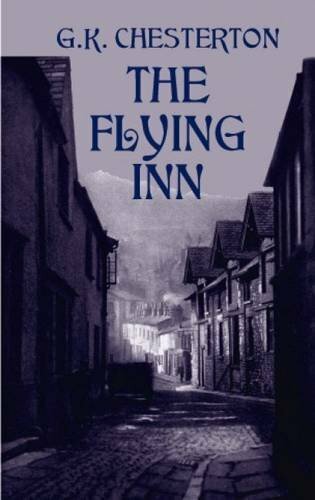 The Flying Inn is set in a future England where the Temperance movement has allowed a bizarre form of 'Progressive' Islam to dominate the political and social life of the country. Because of this, alcohol sales are effectively prohibited. The plot centres on the adventures of Humphrey Pump and Captain Patrick Dalroy, who roam the country in their cart with a barrel of rum in an attempt to evade Prohibition, exploiting loopholes in the law to temporarily prevent the police taking action against them. Chesterton's classic novella tackles anarchy, social order, God, peace, war, religion, human nature, and other concepts. He manages to mash it all together into a delightful satire, full of tongue-in-cheek commentary that is still relevant today.